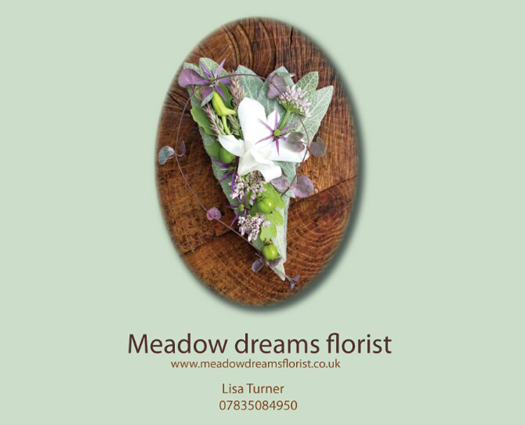 A qualified City and Guild florist, I enjoy working with flowers and have an ever growing passion for seasonal country flowers. The name Meadow Dreams came from my childhood memories. I spent many summer holidays at my dearest grandmother farm helping her to grow vegetables, fruit, berries, wheat and even corn for chickens and hey for the cow. I have treasured memories of spending hot summer days having picnics on our own meadow full of beautiful grasses and wild flowers. We always had flowers in the house which my grandma carefully picked from her garden. She always admired how in the early hours in the morning a drop of mist would shine like a lost diamond in the grass.